• Harry Whitaker Arranger, Piano MySpace: http://www.myspace.com/claudiaacuna#! 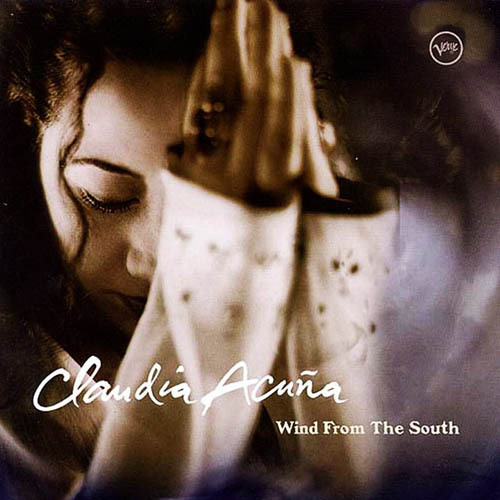 • Claudia Acuña is a Chilean vocalist. Born in Santiago and raised in Concepcion, she was inspired as a child to perform a variety of music, including folk, pop and opera, by Victor Jara and Violetta Parra. Her attention turned to American popular music and jazz at the age of 15, when she first heard Frank Sinatra, Erroll Garner and Sarah Vaughan. Returning to Santiago in 1991, she quickly gained prominence on the local jazz scene through live performances and radio broadcasts with visiting artists. • In 1995, Acuña moved to New York City and began performing at jam sessions and clubs including the Zinc Bar and Smalls. She also performed with her own band at the famous Jazz Gallery. Among the many musical associates she met in this period was pianist/composer Jason Lindner, who became and has remained her musical director. Her debut album, Wind from the South, was released in 1999, followed by Rhythm of Life in 2001 and Luna in 2004. Acuña’s first recording on the Marsalis Music label, En Este Momento, is scheduled for release in 2009. She has also been featured on record with Peck Almond, George Benson, Joey Calderazzo, Avishai Cohen, Mark Elf, Tom Harrell, Antonio Hart, Arturo O'Farrill and Guillermo Klein. • Acuña has been named co-curator of a Chilean music festival scheduled to take place in January 2009. She is also the spokesperson for World Vision Chile, an international Christian relief and development organization that specializes in child-focused development programs. • One of Acuña's covers of the Antonio Carlos Jobim song "Suddenly" was featured on the original motion picture soundtrack from Verve Records for the movie Bossa Nova. She has also recorded three solo albums, two for Verve and one for Max Jazz. In 2001 she recorded a single with House producers MKL and Soy Sos of 3 Generations Walking called Slavery Days which brought her to a whole new audience. • Claudia is signed to the Cambridge, MA-based record label, Marsalis Music. • For her debut recording, Acuna makes an impression that is hard to forget or dismiss. A native of Santiago, Chile, she has been living in NYC and working on her craft at the Blue Note and Small's. On this date she hooks up with peer-group younger musicians as pianist Jason Lindner, bassist Avishai Cohen, drummer Jeff Ballard, and some special guests. Acuna is clearly a gifted singer with a strong, flexible, attractive voice that can lilt or soar. Her resiliency and directness can be favorably compared to Roseanna Vitro, and she proves to be quite an arranger in her own right, charting this set of standards and Hispanic lyric songs. 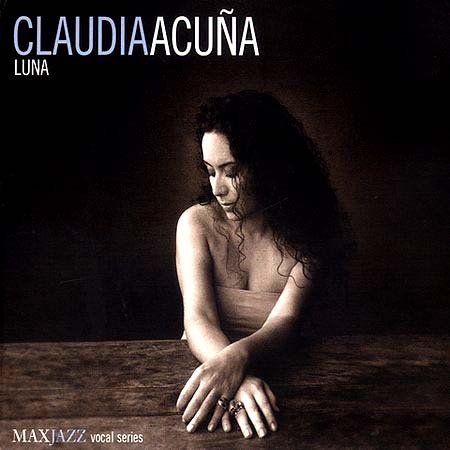 Acuna likes odd meters, using 6/8 on the dramatic "My Man's Gone Now," while adopting shades of Flora Purim (she facially resembles a young Purim) with soaring vocal overdubbing on her original, the title cut, which is supported and colored by Avi Leibovich's trombone. Saturated in percussion and Latin pulse, the horn-fired 6/8 arrangement of Cohen's design "Gracias a la Vida" has tenor saxophonist David Sanchez and trumpeter Diego Urcola swimming in this mix and trading figures during the bridge. A driving 5/4 pushes "The Thrill Is Gone" (not B.B. King's) into a free section, while that same rhythm, more patient in a shuffle style, conjures more drama during the poignant "Long as You're Living." Though in 4/4, beats of separated five and three with beautiful breezy piano chords from Lindner sets this version of "Pure Imagination" apart from any other you'll hear -- a real triumph. There's a hard-bop two-note vamp take of "Prelude to a Kiss" and a quick waltz version of "Bewitched" where Acuna stretches the lyric line. Pianist Harry Whitaker is Acuna's lone foil for the ballad "What'll I Do?" while the trio with Whitaker and Leibovich dances with the singer in wafting, wordless, childlike wonder for "I'll Find You." Cohen and Acuna go it alone in mysterious, deep, and tender moments for "Alfonsina y el Mar"; Stevie Wonder's "Visions" is replete with "Autumn Leaves" paraphrasings, sporting devices both free and modern with dramatic punctuations and stop-starts, with Sanchez on soprano sax. Not only is there promise, but potential too, which is realized; when you consider this is Acuna's maiden voyage, her lengthy travels have already borne the seasoned fruit of a more experienced singer. Recommended. • Chilean singer, songwriter, and arranger Claudia Acuña draws upon the culture of her homeland by fusing Latin rhythms with her instinctive jazz sensibilities. Many of her songs are sung in her mother tongue, making it clear that music crosses all barriers - particularly when sung with her distinctive brand of authentic emotion. • Her most recent recording, Luna, moves beyond the jazz standards of previous releases for a more contemporary R&B/Latin feel, but it is her beautiful voice that has won her growing acclaim wherever she is heard. ¶ Chilean singer/songwriter/arranger CLAUDIA ACUÑA possesses one of the most beautiful and compelling voices in jazz and creative music. While singing primarily in Spanish, her music crosses language barriers to communicate with power and deep feeling. ¶ Acuña was born in Santiago, Chile on July 31, 1971. When she was quite young, her family moved first to the mining town of Rancagua and then to Concepcion, the site of a rich arts community.